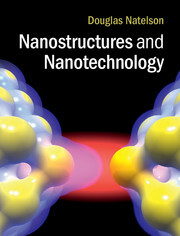 Douglas Natelson is author of Nanostructures and Nanotechnology (2015). He is a Professor of Physics and Astronomy at Rice University, where he has taught courses on nanoscale science and technology for fifteen years. He is a Fellow of the APS and AAAS.